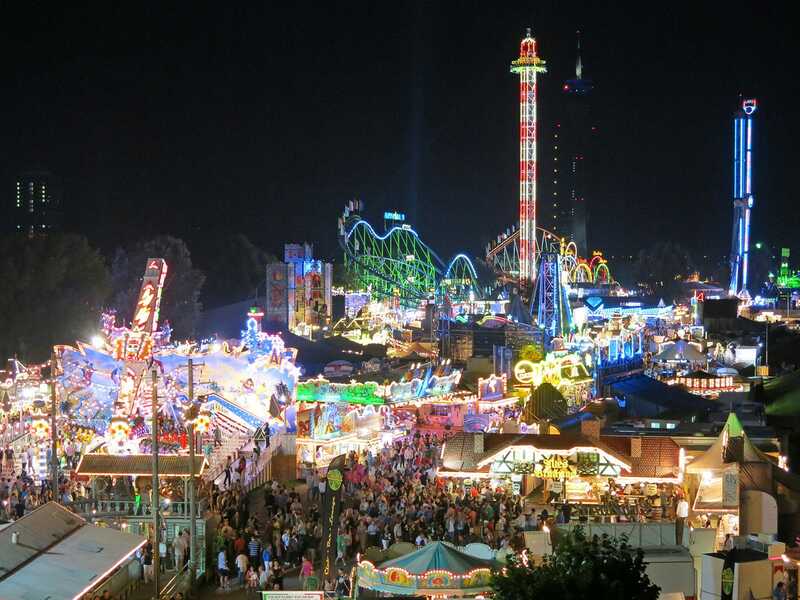 Germany is the traditional home of enormous portable roller coasters. The writer has always considered Alpina Bahn and Olympia Looping to be the two greatest, and it was a treat to find both operating at the same fair in Dusseldorf. Over the course of an evening we enjoyed several rides on the two big coasters, as well as rides on the City Skyliner, the Lach & Freu Haus, Spinning Racer, Wilde Maus (Eberhard & Gobel), and Wildwasserbahn.